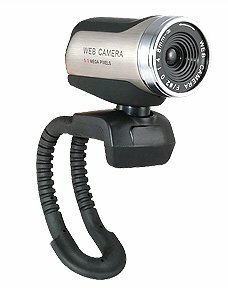 LOGICFOX LF-PC011, is the most common model of web camera for home use with a matrix of 1.3 megapixels. It has the classic video resolution 1280x1024 pixels per inch, which is sufficient to obtain high-quality video. To connect to the computer it is easy to connect via USB 2.0. Also include a built-in microphone, and manual focus. Well, of course it is compatible with all versions of Windows.